I love having flowers, either cut or plants, in my home and the florists here are very seasonal in their offering so reflect the changes of the year. I wanted to have a new 52 week photo project this year and I have settled on weekly flowers. Maybe not the most original thing to post about but looking through my photos for this last year flowers feature very prominently in them and flowers always make people smile, yes? 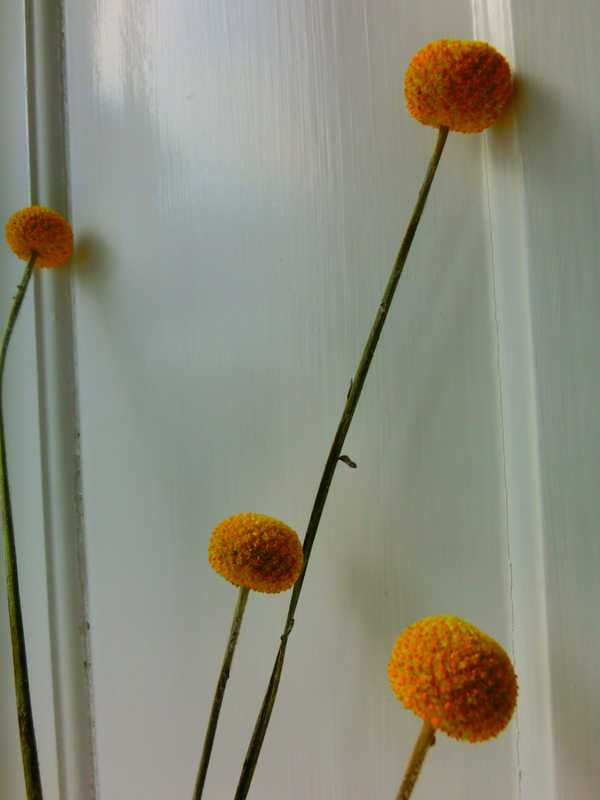 So here is the first of fifty two photos…cheery yellow billy buttons, trommerstikker or more correctly craspedia. I believe this week’s flowers are Australian? They are but I haven’t seen them growing wild in Western Australia. 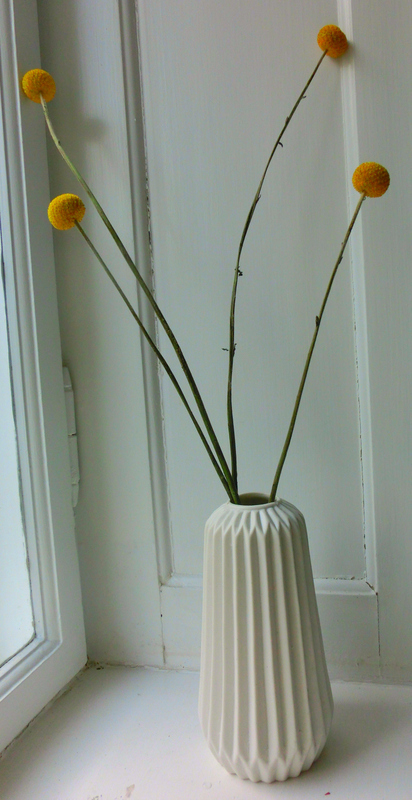 What a lovely idea, love flowers and Copenhagen florists!